Few cats have ever had a fan base to match Ginger Rogers,’ and now an entire community is mourning her death. “Ginge was not just an ordinary cat — she was world famous in Mangonui,” Mary Ralph said. “When she discovered Mangonui she landed on her feet, and spent many lives on the street. She was officially adopted by the whole town, and the business people there all looked after her. “Without a doubt, she was a special character. Her antics would fill a book. The local school students wrote about her, a couple from Scotland visited her and left a ‘cat fund’ for her care. Everyone had a story, and she made everyone feel special. It must have been a full-time job acknowledging all the love and care that was lavished on her. Even Trip Advisor had featured her in its promotion of Mangonui. 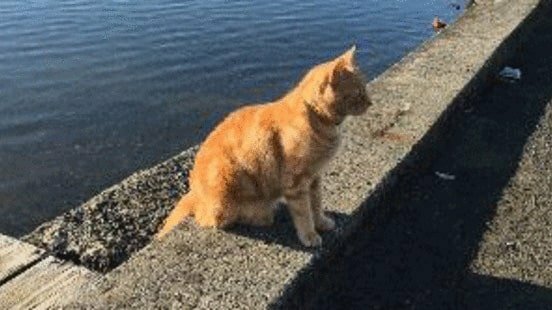 “It will be hard to imagine Mangonui without such an iconic cat, but plans are in hand to create a memorial in her memory,” Mary added.